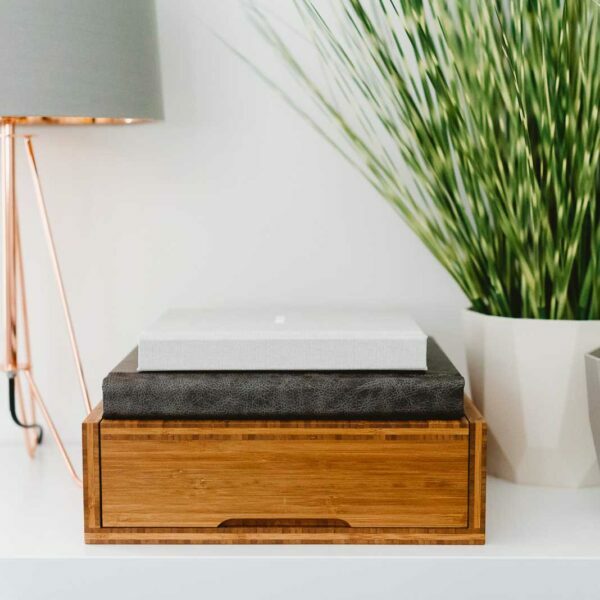 Our Bamboo Boxes are handmade by a Yorkshire craftsman from responsibly-harvested bamboo plywood, bonded with soy-based glue with minimal VOCs. The utmost attention has gone in to quality and detail, from the aluminium hinge to the smooth finger-groove and magnetic clasps. The grain variations mean no two are ever the same and, in addition, we can laser-engrave or print names, symbols or studio logos on to the lid.